An excellent simulation/strategy game that provides a good challenge to fans of that particular genre. 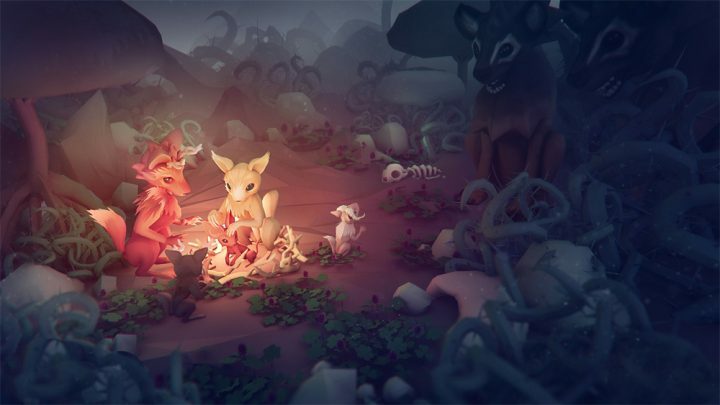 Niche is the brainchild of a woman who couldn’t decide whether she wanted to study biology or game design, and those two passions combined in her final thesis to create the first incarnation of this simulation/strategy game centred around genetics and survival. Niche comes with two modes, story and sandbox, the latter of which is recommended for more experienced players. 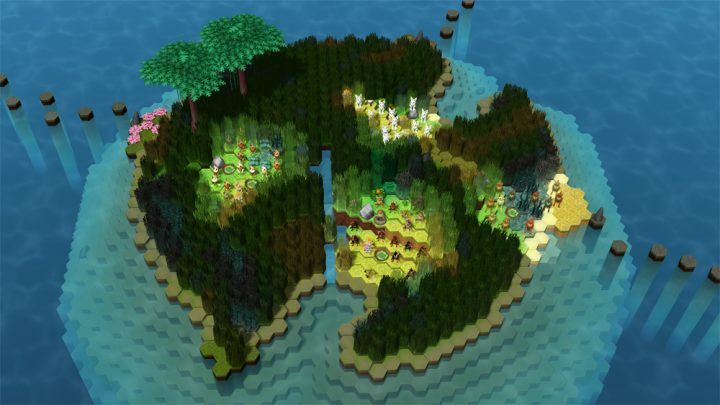 Sandbox gives the player the choice of which islands they wish to play, at a range of difficulties from easy to killer. Try your hand at surroundings that commence at the “peaceful meadow” and continuing playing until you can graduate from the school of the “deadly hills”. Story mode, which the bulk of this review will consider and is aimed towards new players, focuses on Adam, a young creature stolen from his tribe and dropped onto a new island. Your sole mission as Adam is to simply survive, and from that point to sire a new tribe to continue your species. Niche is astoundingly easy to pick up, but is challenging enough to keep you on your toes at every step. Every move needs to be carefully thought out to ensure that your species doesn’t face its extinction through a lack of food, sickness or predators. During latest levels, even the climate can sometimes work against you. Patience is vital to ensuring your success. 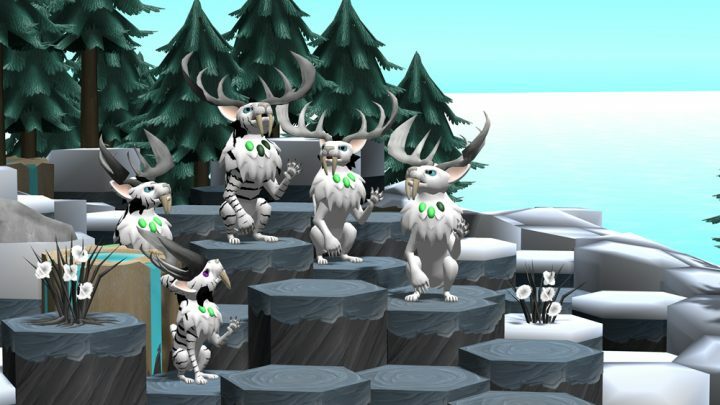 Featuring a breeding system based on real genetics and 100 different genes with which to shape your species, Niche allows for a huge amount of variation in the creatures your create. It also means that careful breeding is required to ensure that your species are able to survive in the land they find themselves. If an area is rich with fish, then you need to make sure some of your creatures are able to take advantage of that, but you don’t want to find them defenceless should predators attack, and so movement and strength also have a part to play. The variation available is further increased by other creatures that you might find on your travels between islands that can be tempted to join your tribe provided you have enough food, or rogue males that will take the opportunity to mate with your females if you don’t stop them. The whole process takes a little bit of trial and error: a short tutorial provides you with very basic information before you are thrown right in at the deep end. During the first play through, Adam didn’t even survive the second island after missing the one potential new member to his tribe (Eve) altogether and dying of old age, cold and alone. Things fared slightly better on the second play through, and the next generation was born – except shortly after a shortage of food meant that they all began starving to death. The less that’s said about the third play through, and the accidental impregnation of a young daughter by her father, the better. The key to Niche is very much to learn by doing, and continued play is required in order to begin understanding the mechanics at work. This is not to say that the game would not benefit from a slightly fuller tutorial, just that not having one does not diminish the enjoyment of game play. A keen eye for detail is required however in order to get the most out of your play through. Some of the tasks within the game do get a little repetitive, but then that is a sign of the genre of game as opposed to any fault with Niche itself. All strategy games have a certain amount of repetition, and Niche is no exception to this. In this case though it does add an additional challenge, because it is very easy to become distracted and make bad or rushed decisions, endangering your new species. A good example of this is the need to constantly gather food to ensure ongoing survival. More than once a creature that was less effective at gathering was trying to harvest berries, instead of digging up roots, something that particular creature was more proficient at. Aside from the gameplay, Niche is presented with a colourful animation style that is both attractive and immersive. The intro video where you first meet Adam is particularly well animated, and provides a short yet beginning to the game. Add in a relaxing soundtrack, and it is very easy to lose a lot of time to this game. All in all, Niche is an enjoyable game that comes with the reasonable price tag of £13.59. Whist it might not appeal to everybody, for fans of the strategy genre, it is well worth picking up. Niche is available for the PC on Steam now.